RETRO KIMMER'S BLOG: FORGED IN FIRE SEASON 5 PREMIERES TONIGHT! 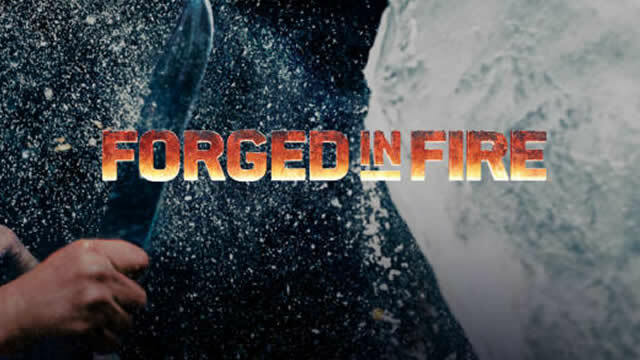 Forged in Fire is an original competition series hosted by weapons expert and U.S. Army and Air Force veteran Wil Willis, featuring world-class bladesmiths competing to create history’s most iconic edged weapons. They use sweat, fire, force of will, and a well-equipped forge to turn raw material into authentic, fully functional implements of war. For the first time, five novice smiths get their chance to be a part of the global phenomenon that is Forged in Fire. But they have to earn their way into the competition because one smith will be sent home before the first forge is ever lit. Four seasons are available online and in the HISTORY app. Sign in with your TV provider to watch.